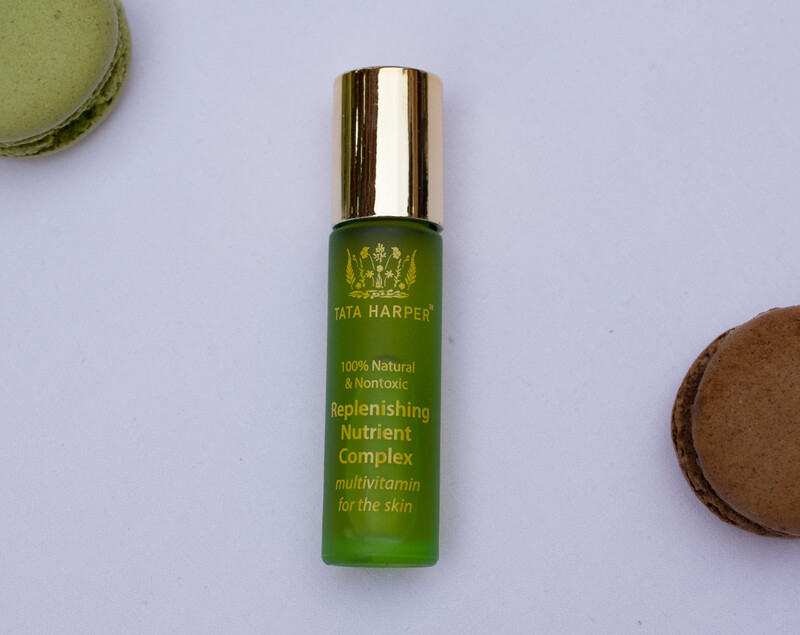 This concentrated face oil infuses the skin with essential vitamins, amino acids, minerals, and antioxidants to transform dry, chapped irritated patches into balanced, radiant looking skin. One bottle contains 10 ml and retails for 49 $ here. 10 ml may not sound like a lot, but my bottle lasted me for almost a year of using it approximately three times a week. 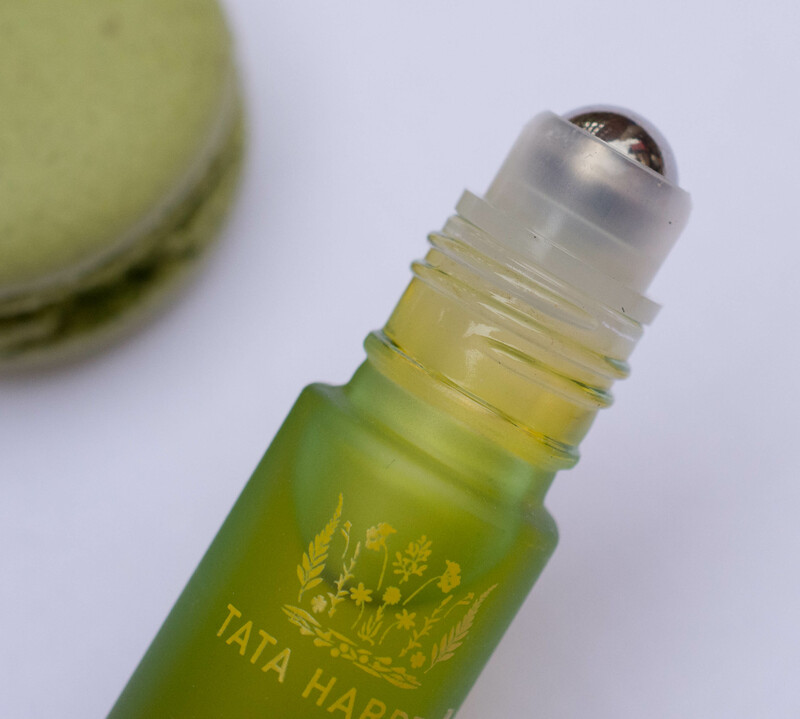 The standard Tata packaging, green glass with golden writing is combined with a rollerball for convenient application. This is a rich oil. None of the lightweight, barely there oils, but a proper oil that you can massage into your skin. It does not leave a residue though and you need not fear for your pillow cases. The scent is best described as herbal. To my nose not overly pleasant, but what I would associate with a 100 % natural blend. The rollerball makes for a fun and unique experience. I rolled it once across my forehead and each cheek as well as three times down my neck and then spread everything with my fingers. Now I don´t have dull skin, so I can´t tell how well it would work for that, but any (rare) dry patches that appeared on my skin were quickly gone after application and it left my skin soft and hydrated. It is concentrated for sure, as you only need the tiniest amount, and it is filled with antioxidants and nourishing ingredients. At the moment, my skin is neither dull nor do I have dry patches frequently, so I am not sure if I need it in my arsenal. But if that should change, and I am well aware that this might happen once the hormones have gone back to normal, I might reach for it more often. 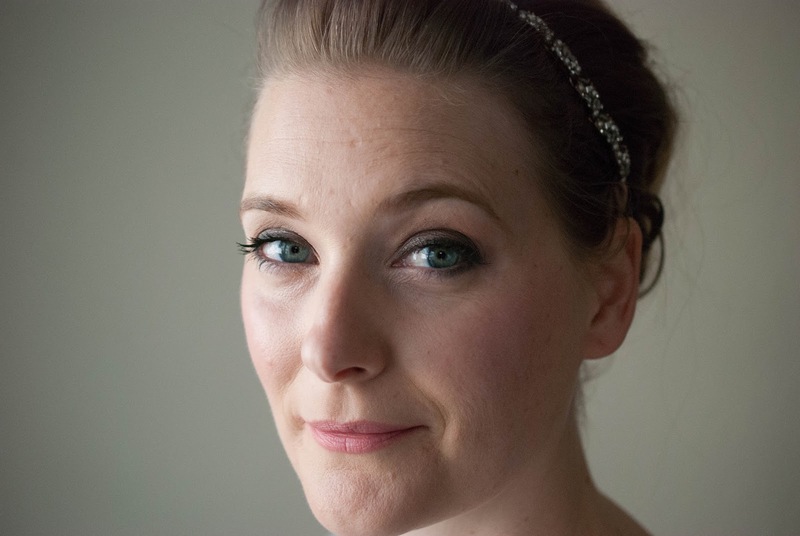 People that struggle with dull and dehydrated skin. People that want to show the skin some extra loving after a sinful summer. Frequent flyers. The small size and the rollerball make it a great in-flight treatment for your skin. Have you any summer sins you would like to confess? Come on, we are all friends here!